It’s hard to believe that it’s been two months since Hurricane Harvey swept across the Gulf Coast. 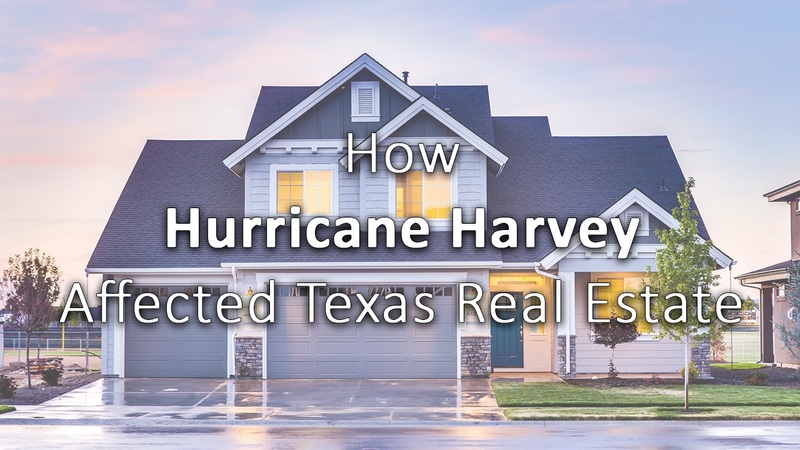 185,000 homes were either destroyed or damaged, displacing over 100,000 people and sending clouds through the entire Texas real estate market, slowing overall home sales and affecting prices. But according to economic forecast and Vicki Fullerton, chairman of the Texas Association of Realtors (TAR), the rebound that comes from rebuilding the Houston area and other Gulf Coast markets will cause a bounce-back in the months ahead. According to James Gaines, chief economist with the Real Estate Center at Texas A&M University, the damage from Harvey has had an immediate impact on Texas' housing activity. The Houston area accounted for about 25 percent of Texas' housing activity before the storm. The damage of the storm is causing economists to rethink their forecasts for next year based on the hurricane damage and expected recovery. Due to the number of homes damaged, once the rebuilding process begins, home prices will go up faster. What Houston will need to consider, according to Gains, is how many of these homes should be rebuilt in areas prone to flooding. So, what could slow down the rebuilding process? There is currently a statewide construction labor shortage, but once recovery begins, Houston and other areas of the Gulf Coast cities will see a short-term economic jump. It is estimated that around $100 billion will be put into the economy to help with the rebuild. Gaines believes that of those 100,000-people displaced from the Gulf Coast, most will eventually return to Houston and surrounding Gulf Coast cities, but until that time, they will have to stay somewhere. Many are here in the North Texas area and may decide to stay which would put additional strain on the already competitive market. *researched information for this article came from WFAA.